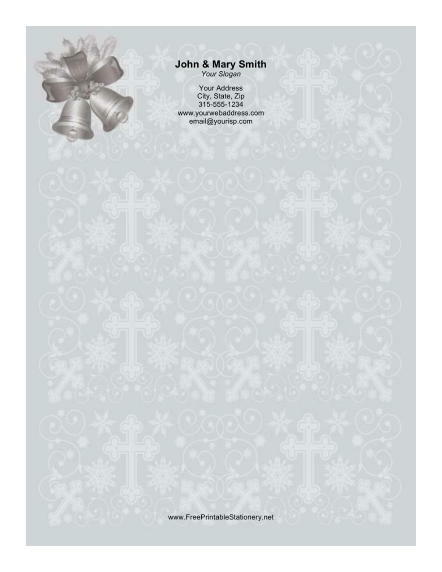 On this Christmas paper, a pair of silver holiday bells with a bow sit against a background of silver crosses. The tinsel gray background also includes snowflakes and swirling lines. This holiday paper is perfect for a simple Christmas letter or any holiday memo.